If you have a missing or broken tooth, you know that it is surprising how large an effect it can have on your life. Damaged or missing teeth can be the source of a great deal of physical pain, can invite infection, and can even make it difficult or embarrassing to smile – perhaps the most painful aspect of all. No one should have to live with constant pain, embarrassment, and discomfort related to dental issues, and that is why here at Magnolia Dental we pride ourselves on offering exceptional restorative dentistry procedures in Greenville, SC. Our expert staff understands the situation you are in, and we can help you to restore your teeth, removing pain or discomfort, and – perhaps best of all – giving you back your best smile. No matter what condition your teeth are currently in, we have restorative dentistry procedures to repair and restore them and make your smile look better and brighter than it ever has before. If you have one or more missing teeth, or teeth which are damaged and need to be extracted, dental implants can be a great option to replace those missing teeth. Whether your damaged tooth is a result of injury, decay, congenital disabilities, or periodontal disease, dental implants in Greenville, SC, are a restorative dental procedure that will help a great deal. Magnolia Dental provides a new, permanent alternative to dentures, partials, bridges, or crowns. Dental implants have several advantages over dentures, the most compelling of which is their benefits to overall oral health. Areas with missing teeth are vulnerable to bone loss, and the teeth surrounding the missing tooth can begin to shift, causing additional problems. Dental implants at Magnolia Dental in South Carolina address both of these problems in a way that dentures do not. A dental implant is a titanium rod which is inserted into the existing bone, strengthening that bone and preventing bone loss. Then, a porcelain crown is placed on that titanium rod, making it indiscernible from your natural teeth. Dental implants preserve your existing bone structure and can be treated no differently from a natural tooth in terms of your ongoing lifestyle and dental hygiene habits. Due to these benefits, they are very quickly becoming a front-line treatment for patients needing a single tooth replacement, because they will not affect any of the surrounding teeth in the way a bridge or partial may. Once a dental implant is safely in place, the same regular brushing, flossing, and other routine home dental care activities we would recommend for natural teeth are all that is required. Dental implants can also be used to aid in retention for partials and dentures as well. By utilizing dental implants you will increase your chewing efficiency and strength and will gain confidence from the fit and stability of these appliances. If you feel you may be a good candidate for dental implants in Greenville, South Carolina, consult with one of our staff at Magnolia Dental today. If implants are the best option for you, we will outline a treatment plan, and help you begin the process of getting you back to your best smile. One of the most reliable and trusted treatments for all of restorative dentistry in Greenville, SC, dental bridges and dental crowns are two of the most common ways of repairing damaged teeth or replacing missing teeth. For those who, for whatever reason, may not be a good candidate for implants, crowns and bridges are almost always a very good alternative. 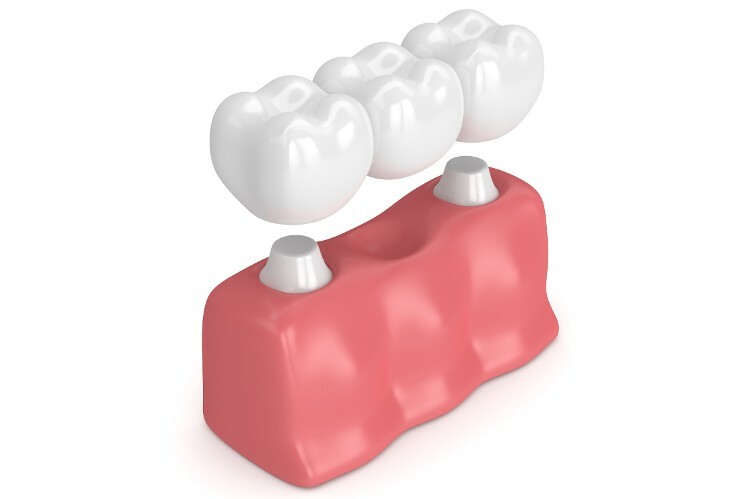 A bridge is a replacement tooth which is anchored to the two neighboring teeth, sitting on top of the existing gums in a manner similar to partial dentures. Porcelain crowns are a restorative procedure which literally covers a damaged tooth with a porcelain surface, restoring its appearance and function to that of a natural tooth. For patients who are missing several teeth, or even have an entire row of missing or damaged teeth, one of the fastest and easiest ways to restore your smile is with the use of dentures in Greenville, SC. Once you and our staff at Magnolia Dental determine that dentures or partial dentures are a good option for you, we will work carefully and closely with you to ensure that you get the best possible fit and that your resulting smile is nothing short of dazzling. Composite fillings can be more aesthetic than silver fillings due to being tooth-colored. Composite fillings are bonded to the tooth and therefore are also a much more conservative option for tooth restoration. Anyone who has paid a visit to a local dentist knows the dreaded word: cavities. 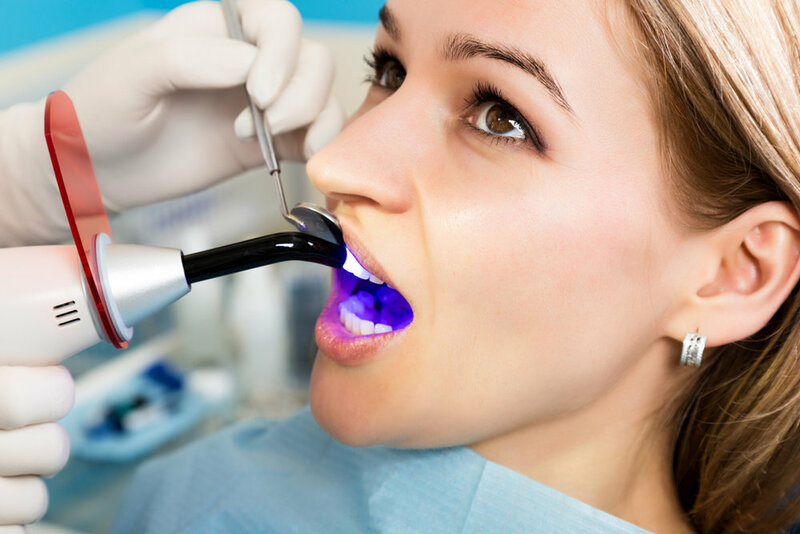 Fillings have long been the go-to restorative dentistry procedure for cavities, but as you are no doubt aware, old fillings would leave large and noticeable gray marks in the teeth. Here at Magnolia Dental of Greenville, SC, we use modern, tooth-colored fillings, meaning that having a cavity filled doesn’t mean sacrificing the appearance of your natural teeth. They are made of a composite resin which is shaded to match your own existing teeth, helping our fillings to integrate with your existing smile seamlessly. These fillings can be used to restore cavities or cosmetically close spaces between teeth. If there is a phrase more universally feared than fillings in terms of restorative dentistry in South Carolina, it is the root canal. However – don’t panic! Thanks to modern techniques and technology, root canals and not the horrific experience you may think of, and they are absolutely not painful! Today, a root canal is one of the best tools dentists can use to relieve dental pain, saving teeth which would otherwise require extraction. Here at Magnolia Dental, we use root canals to treat teeth which have deep damage or infection, saving them from further deterioration and preserving your existing, natural teeth. It may have a scary reputation, but when you think of a root canal at Magnolia Dental, we hope you’ll think of it as the answer for your dental pain, rather than the cause of it. Losing teeth as we age is not something that is inevitable. In fact, keeping good oral hygiene, and having regular exams and cleanings can help ensure that you keep your natural teeth for life. This means not only brushing, flossing, and caring for your teeth themselves, but also caring for the things that support them – gums and bone. Periodontal disease is a bacterial infection of the gums, also known as gum disease, which threatens these supporting structures. You may have heard your dental hygienist talk about gum disease or periodontal disease before because we are always looking out for early signs of these infections. Gums that are red, sensitive, and bleed easily (such as when you brush your teeth) are a sign of periodontal disease. Left unchecked, this can damage the underlying bone supporting your natural teeth, leading to tooth loss and other health concerns. However, there is treatment in the form of periodontal therapy in Greenville, South Carolina. There are various forms of periodontal therapy which range from deep cleanings called scalings which remove plaque and tartar from below your gum line to the actual surgical repair of gums and bone. See your dentist at Magnolia Dental regularly to ensure your best defense against periodontal disease – whether you have the signs of infection or not.